Should You Hire an Attorney for Your Real Estate Closing? - Crooks, Low & Connell, S.C.
Should You Hire an Attorney for Your Real Estate Closing? Buying property can be stressful and confusing, and although people will tell you to save money and close on your own, it isn’t always the best option. In most cases, it’s best to have an attorney on your side, who represents your best interests, when it comes to closing on your real estate. Many homebuyers and sellers rely solely on their real estate agents throughout the entire closing process. However, you should keep in mind that real estate agents, even if they represent you during the closing, have a great deal to gain and might not always have your best interests in mind. 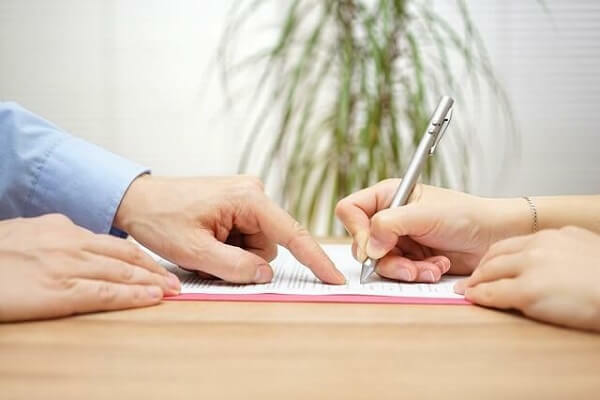 If there are contract negotiations or questions, you should, at the very least, have an experienced attorney look over the paperwork before you agree to anything. Once the sale has gone through, you might be stuck in a situation you can’t get out of, so make sure everything is clear beforehand. Properties sold by the owner. It goes without saying that a lawyer should prepare the documents for For Sale By Owner (FSBO) properties. Don’t trust that the person selling the property is qualified to prepare the documents. Transactions financed by the seller. In certain situations, the seller might be providing the financing, which can bring with it a great deal of risk. Both sides should have a lawyer look over the agreement and review the documents. Commercial property. For commercial property, it’s important for the business that an attorney who has experience in commercial properties review the contract. In some cases, the buyer or seller might try to back out of an agreement or violate terms of an agreement. This also means you might encounter people who misrepresent themselves or their property or engage in illegal activity. To protect yourself in situations like these, make sure you have a real estate attorney to help. Qualified Real Estate Attorneys Crooks, Low & Connell, S.C.
Real estate transactions are some of the most important transactions you will ever be a part of, and some of the most expensive. In order to protect your interests and your family’s well being, make sure you have experienced real estate attorneys on your side. At Crooks, Low & Connell, S.C. we have the experience and knowledge that comes with years of practice in Wisconsin real estate. If you or someone you love is considering buying or selling a house, contact our offices in Wausau, WI at (715) 842-2291 or complete our online contact form today to schedule a consultation.